Brown rice is an unpolished and unrefined whole grains, produced by separating the surrounding husk of the rice. These grains maintain its nutrient-dense germ layer. It is chewier than compared to white rice and has a flavour of nuts. 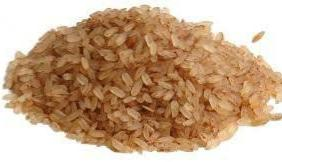 Brown rice consists of an essential nutritional components like Ferulic acid, lysine, magnesium, potassium, vitamin E, niacin, vitamin B 6, thiamine, and dietary fiber, minerals like manganese, iron, zinc, phosphorus, calcium, selenium, magnesium, and potassium. The major health benefits are mentioned below.